baking | Exciting Adventures of an ex-Archaeologist, soon to be Teacher! 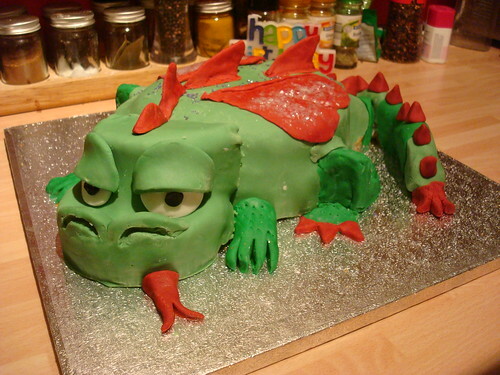 Dragon Cake for Dad’s 65th birthday, a photo by squeejay on Flickr. It wasn’t easy to try and beat the Han Solo in Carbonite cake I made fro Dr B a few years ago, but this might be a good contender! I made it for Dad’d birthday last month. Vanilla sponge with a strawberry and buttercream fillling for the body, a smaller round cake for the head with another half a small cake on top for the brow, cake wedges for the ail. All covered in fondant icing with added sparkles for scales. I love Gingerbread. I also love Guinness. So it seems natural that highlights of the festive season should have included Guinness Gingerbread (a la Nigella Kitchen) and a gingerbread bath melt from Lush. 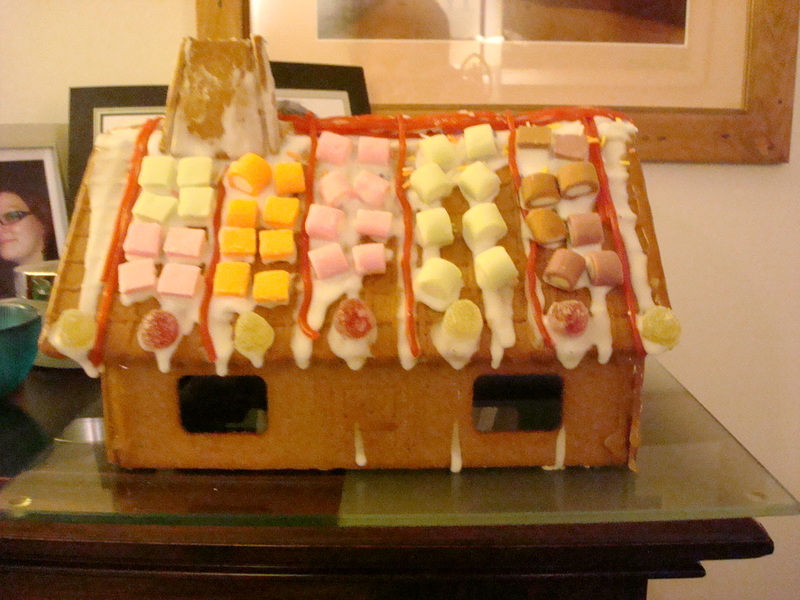 Shame the edible one didn’t last long enough for a photo, so have the Gingerbread house we made instead. 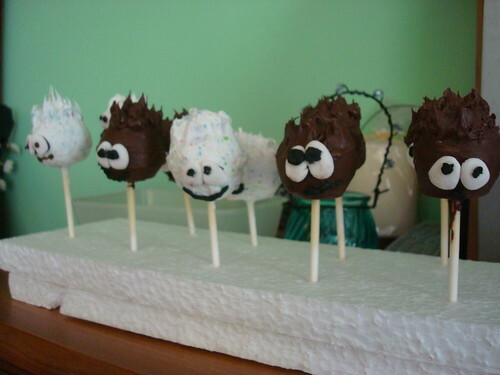 Puffle Cake Pops, a photo by squeejay on Flickr. One of my nephews is currently obsessed with Club Penguin. If you have no idea what I’m talking about it’s a Disney thing and all you need to know is that there are some Penguins who have helpers/magic assistants called Puffles. In essence, and in the Disney merchandise mobile, Puffles are bean bags with hair. I have long been a fan of Bakearellas Cake Pops, and made some a few years ago. I’ve got better at it though, and these are chocolate cake on the inside and chocolate coated on the outsife. The eyes are made of fondant and writing icing. The hair was done by ‘glueing’ chocolate cake decorations to the head with chocolate and then quickly dipping the pop in and out of some Wiltons Candy Melt coating, and twirling it around upside down to make spikes. They went down a treat! 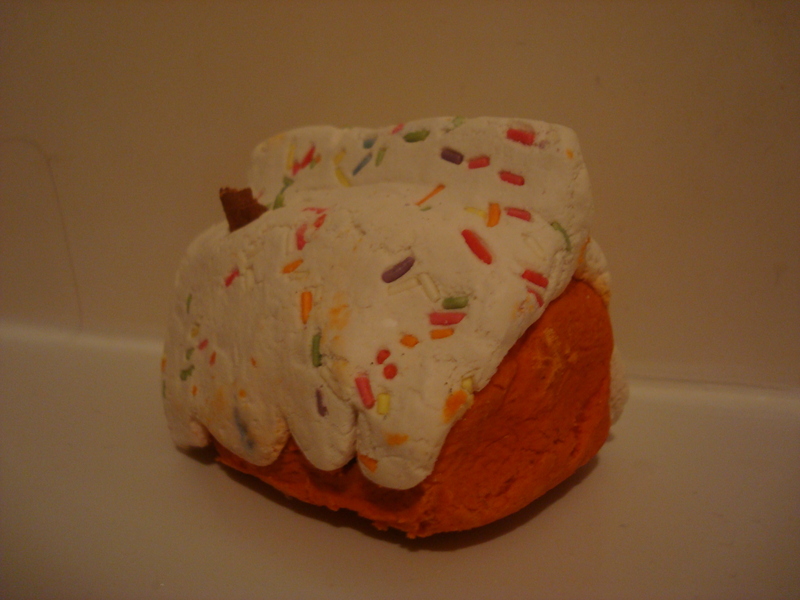 Stollen: who doesn’t love the marzipan/rum goodness at this time of year? I get proper stollen cravings around now and so thought I’d give making my own a go. 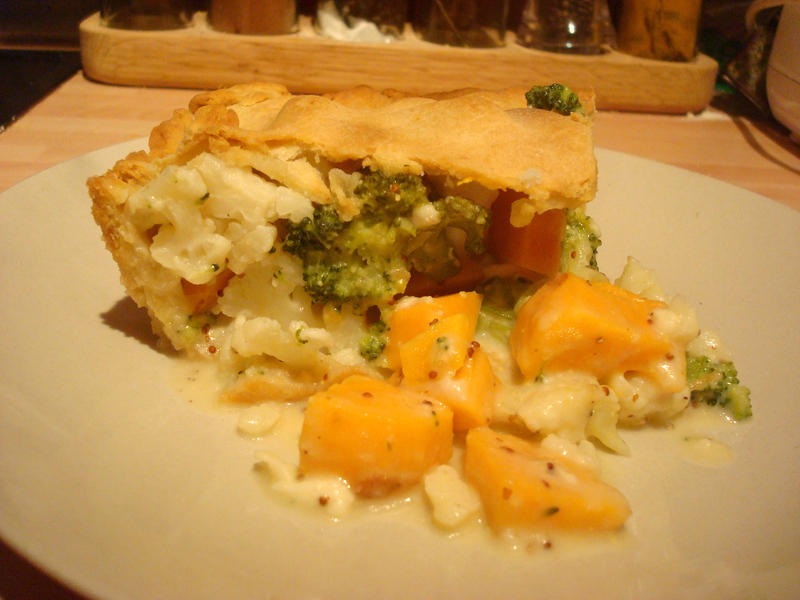 I found a few recipes and ended up trying this one: http://www.guardian.co.uk/lifeandstyle/2007/dec/02/foodanddrink.recipes. It looks really good (if i do say so myself) but the taste is more biscuit than cake or bread. When warmed up it is delicious but is still more biscuity/harder than I think it should be. I am of course basing all my stollen prejudices on the many examples I’ve tasted in German food markets. The only thing I can think of is that I maybe heated the milk up a bit too much when making up the yeast and killed some of it. I’m not sure. Anyways, one loaf for now and one in the freezer for christmas. 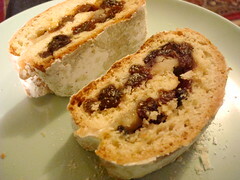 I’m not put off though, and I’m going to try another Stollen recipe at the weekend: http://thebutcherthebaker.wordpress.com/2009/12/28/fresh-from-the-oven-stollen/ and see if that rises to the challenge a bit better (excuse the pun).